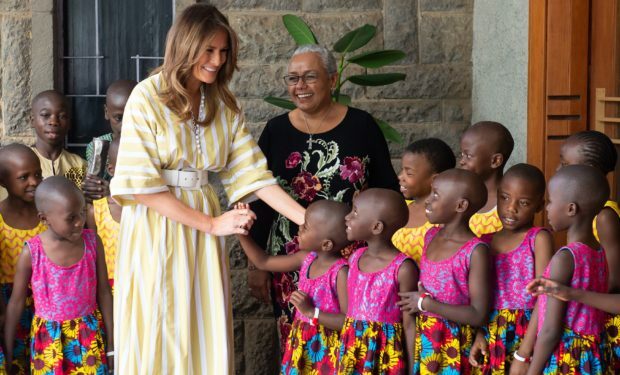 First lady Melania Trump visited an orphanage and attended a children’s recital while she was in Nairobi, Kenya, during her first solo trip across Africa earlier this week. According to The Forgotten International organization, the orphanage cares for about 80 children ranging from ages 2–17. A majority of the children at the institution have a parent who has been incarcerated and need foster care. 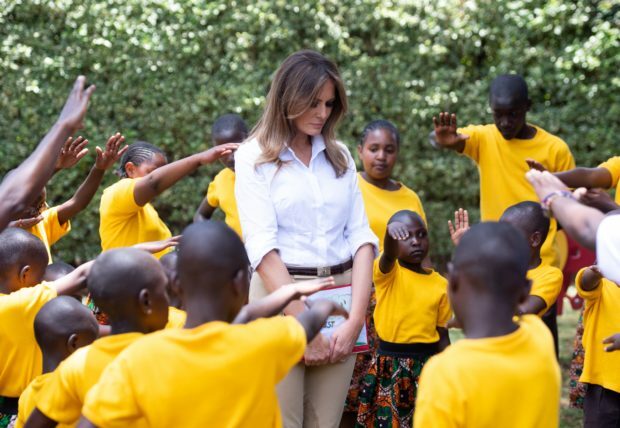 Children pray for U.S. First Lady Melania Trump as she visits the Nest children’s home orphanage, which primarily cares for children whose parents have been incarcerated, in Nairobi. U.S. First lady Melania Trump walks with children as she visits the Nest Children’s Home Orphanage. “Thank you for what you do and taking care of them,” Melania Trump told the staff while holding a baby girl who was handed to her, according to Time. 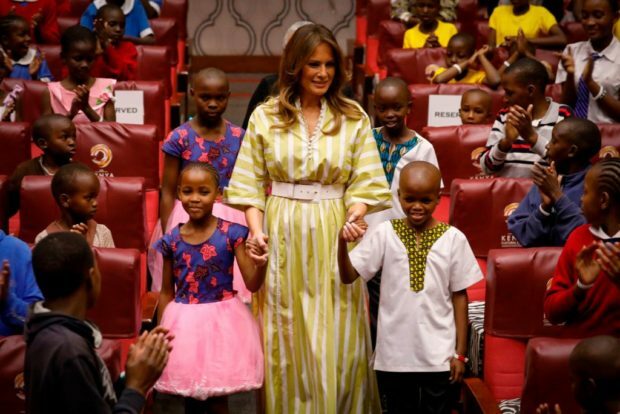 U.S. First lady Melania Trump at the Kenya National Theatre. 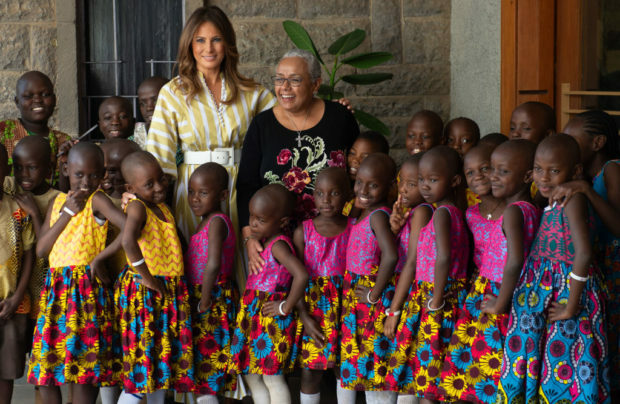 U.S. First lady Melania Trump and the First Lady of Kenya Margaret Kenyatta greet children.